Admission to Cal State Fullerton is competitive. Incoming students in last year's class had an average GMAT score of 568 and a 3.2 GPA. To best prepare for admission, students should attend an information session on the Cal State Fullerton campus. These sessions regularly fill to capacity, so prospective students should register online in advance t...Admission to Cal State Fullerton is competitive. Incoming students in last year's class had an average GMAT score of 568 and a 3.2 GPA. To best prepare for admission, students should attend an information session on the Cal State Fullerton campus. These sessions regularly fill to capacity, so prospective students should register online in advance to secure a spot. CSUF is a large MBA program, which attracts a wide variety of students at any level of their career, but still brings the average class size to less than 30 students. Here, students are “very diverse in terms of ethnicity, race, ideas, background, and ages,” though “most are in their mid- to late 20s and have 2-5 years of work experience.” As a “very diverse and professional environment,” CSUF caters to students “looking to move up in their careers.” In the classroom, students keep the bar high, but competition low. Generally, students are “very sociable people,” who are “pleasant to study with.” At the same time, “there isn’t too much school spirit or ways to get involved with social activities on campus.” Collegiate activities are generally “geared toward undergraduate students,” so most MBA candidates are “only at the business school for class or to study.” Nonetheless, CSF offers a nice school environment on their main campus, where the “new business school building” offers “plenty of nice, quiet, clean study areas.” Caffeine-fueled students add, “The Starbucks in the business school is a definite plus,” and there is a “state-of-the-art gym provided to students, free of charge.” Most students are quick to praise their campus experience. For those who love the surf and sand in Southern California, “CSUF has excellent ties to the local Orange County business community.” Throughout the program, “the professors and administration work as partners in helping us achieve our career goals.” Students are encouraged to visit the Advising Center to meet with career path advisors, who help them choose a concentration, plan their education, and develop a career search strategy. In addition, students can make an appointment with the business career specialist at the university’s Career Center, who helps place graduates in accounting, finance, interna­tional business, information systems, and marketing positions.Though the programs are strong, career development could be improved with the addi­tion of “more networking activities within the program, outside the program, and with other schools that have similar programs.” Students would also like to see Cal State Fullerton build “relationships with higher quality employers and recruiters.” A student explains, “We have a good program, but our career center is geared for undergraduates, and they do no have that much to offer for graduate students.” The school has listened to its students, though, and an Associate Director of MBA Career Management has been hired for the Fall of 2011, and will create an MBA Career Center for full-time students.After graduating from Cal State Fullerton, MBA candidates join a “large alumni net¬work” of almost 50,000 former students in Southern California and beyond. Currently, Mihaylo graduates are employed at Ford Motor Company, Hewlett Packard, Merrill Lynch, Morgan Stanley, Nestlé, Fox Sports, KPMG, Warner Brothers, PricewaterhouseCoopers, Paramount, Boeing, Deloitte & Touche, US Bank, Verizon, Walt Disney Company, Kaiser Permanente, and Toshiba, among others. In recent years, the mean base salary reported by Cal State Fullerton MBA graduates was over $62,000 annually. 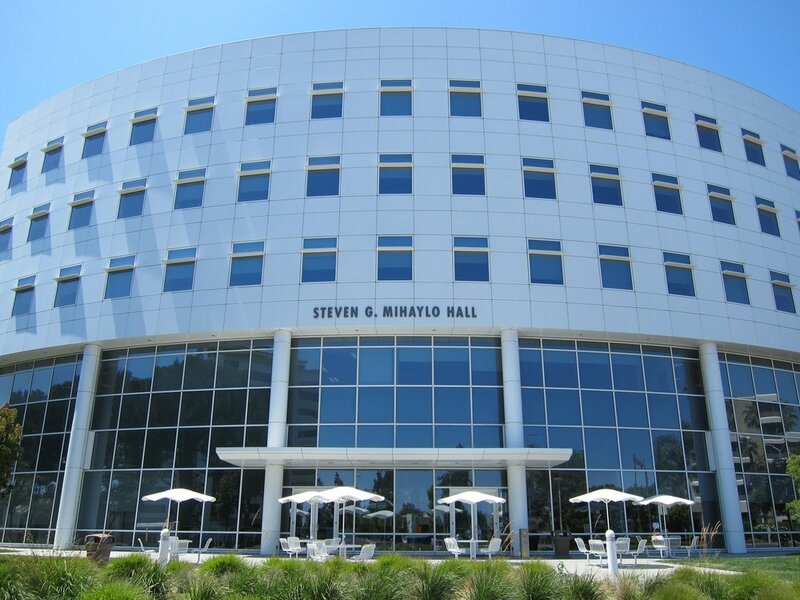 Mihaylo College of Business and Economics at California State University, Fullerton (CSUF) is the public university business school in Orange County whose impact stems from its immense presence in the region and its strong links to the economic progress of the area. The College prepares an unmatched number of graduates for success in the workplace, and provides insights that advance the fortunes of businesses in Orange County and Southern California (SoCal).The College fuels the economic and corporate success of SoCal. Our educational program instills our vast corps of graduates core business knowledge, critical thinking skills, and motivation, thereby putting them in position to contribute to the success of regional businesses. The College's impact is far-reaching because it serves as a thought leader contributing to the economic progress of SoCal.Mihaylo CBE features nationally recognized faculty, award winning students, forward-looking curriculum and flexible programs which attract talented and diverse students worldwide. We are the largest accredited business school in California and the third largest in the United States. We are one of two schools in SoCal and one of 168 nationwide with prestigious dual accreditation in business administration and accounting from AACSB International, the worldwide accrediting body for business schools. The College is annually recognized by Princeton Review as one of the "Best 296 Business Schools. "Our reach and impact is felt throughout SoCal and worldwide. Our graduates work internationally, but with over 50,000 grads living in SoCal, this advantage really does make Mihaylo CBE "Orange County's Leading Economic Indicator." Our location and overwhelming impact and presence in one of the most vibrant business communities in the United States – even the world – is an advantage few can match.Students with significant professional experience enjoy the Fully-Employed MBA (FEMBA) and MS Taxation programs offered at CSUF-Irvine. These accelerated, cohort-based programs create an immediate professional network. All MBA courses are scheduled to accommodate working professionals. The 33-45 unit curriculum challenges and develops students through case method, team building, integrated curriculum, and working with area businesses. It gives a broad, strategic managerial perspective, balancing theory with practical application, and strengthens leadership skills. The program gives students a comprehensive, world-class education which students tailor specifically to their professional goals with ten foundational/interdisciplinary courses and a four course concentration. The 12 concentrations: Accounting, Business Intelligence, Economics, Entrepreneurship, Finance, General, Information Systems, International Business, Management, Management Science, Marketing, and Risk Management and Insurance. SAP, XBRL, Center for Entrepreneurship, Center for the Study of Emerging Financial Markets, Center for Insurance Studies, Center for International Business Programs, Center for Corporate Reporting & Governance, Family Business Council, Institute for Economic & Environmental Studies, Real Estate and Land Use Institute, Small Business Council, and the International Center for Economics of Pharmaceuticals, Aging and Health. Want more info about California State University - Fullerton Steven G. Mihaylo College of Business and Economics Part Time MBA? Get free advice from education experts and Noodle community members.